Mostly by what biologists call associative learning, more widely known as trial and error, researchers have found. 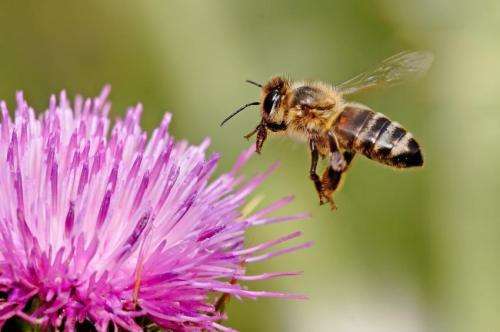 But while extensive research—starting with famous bee researcher and Nobel laureate Karl von Frisch a century ago—has focused on uncovering how bees forage for nectar, much less is known about how bees go about collecting pollen, which constitutes the most important protein source for the developing brood in the hive. "For a long time, we have known that bees can learn all kinds of cues—tactile, visual and olfactory—when going after nectar rewards," says Russell, the study's first author. "When you open a can, you have to use a can opener, then use your fingers to pry the lid open. A bee might have to pop open the flower's petals, and might have to try many times over multiple trips until they get good at it. But not much was known in the context of pollen rewards." 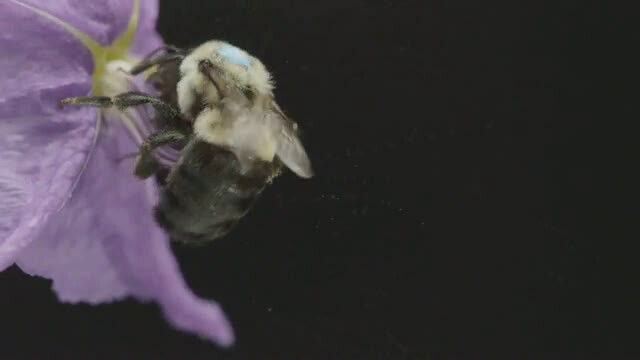 When visiting some of these trickier flowers, Russell's team found, bumblebees switch to a different behavior called sonication—or, in more familiar terms, buzzing. 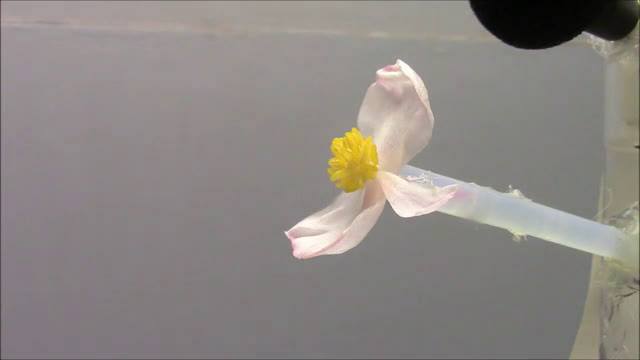 Not unlike a sonicating toothbrush that vibrates to shake plaque from teeth, a sonicating bee vibrates vigorously to free pollen grains hidden inside the flower.